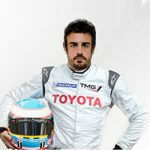 Fernando Alonso, retired Formula 1 champion, has proven he still has what it takes after he won the Rolex 24 in Daytona. The 37 year old retired from the F1 scene at the end of the last season, but has won the latest Rolex 24 along with Kamui Kobayashi, Jordan Taylor, and Renger van der Zande for the Wayne Taylor Racing Cadillac. The race, which lasts for 24 hours in Florida, was stopped twice due to the heavy rains that were affecting the course. Talking about his victory, Alonso said that it was an amazing experience, and a perfect execution for the race. 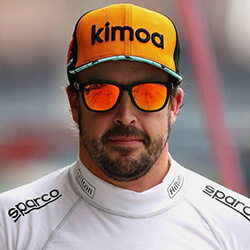 Alonso’s latest victory marks him as the third former F1 start to win at the event after Mario Andretti and Phil Hill. The Spanish driver, who also recently won at Le Mans, made his first appearance last year at the Daytona race, where he finished 38th. He is hoping to try and join up with British Graham Hill as both are the only two racers to win the triple crown at the Monaco Grand Prix, 24 hours of Le Mans, as well as the Indianapolis 500, where the racer will be competing when the event begins in Mau. 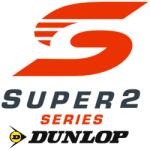 Most of the last eight hours of the 24 hour event were completed while under a yellow flag due to the extreme weather, and the race was ultimately brought to a standstill twice under a red flag for the final two hours. The result of the race was announced after 23 hours and 50 minutes. Fred Johnson is an avid sports betting enthusiast and a qualified journalist. He discovered online betting while at college, and it piqued his interest. Fred has found a way to combine his love of sports and betting with his journalism career, and he always has his finger on the pulse of what’s happening in every arena. He’s not only keen on sports of all kinds, he is set on providing readers with an unbalanced, unbiased view of what’s going on in the world. 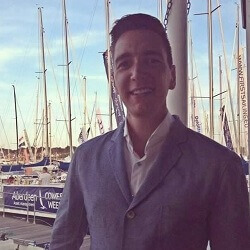 He’s a valuable member of the australianbettingsites.org team, and brings a wealth of expertise to the table. Japanese motor company Toyota have denied any potential plans to ensure Fernando Alonso wins the Le Mans, the famous 24-hour circuit. The rumours came about due to the fact that …. Formula E Motor Racing Despite having been around since 2014, Formula E racing is still a fresh concept for many. 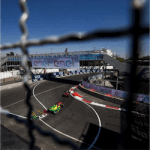 The Formula E Championship differs from the conventional Formula 1 …. Virgin Australia Supercars Season Launch The Virgin Australia Supercars Championship season has officially kicked off and was celebrated accordingly at the recent season launch in Sydney. The new season gets …. 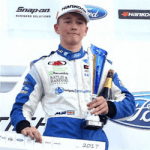 Beating The Odds, Changing The Rules When talking beating the odds, Billy Monger is motorsports’ poster child. Its been nine months and twenty and a few days since the eighteen …. 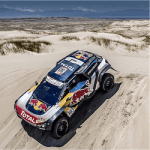 Peterhansel: You Can’t Catch Sainz Mere days ago, Stephane Peterhansel appeared to be well on his way to yet another Dakar Rally victory, what would have been his 14th, to ….